Anti Fed Ed Warriors, this is my second article on the federal overreach into education by the 116th Congress. So, far we’ve seen the HR 62’s grab for our little learners with shifting Head Start and Early Head Start funds to block grants your Governor’s will be in charge of. The hidden in plain sight agenda there? “School choice”, especially via vouchers for low-income families. For today’s article, it’s HR 69, the ‘‘Ending Common Core and Expanding School Choice Act’’. This bill is 6 pages long and is sponsored by Rep. Bill Riggs from AZ. There’s one co-sponsor from CO (Rep. Doug Lamborn). HR 69 is in the hands of the House’s Education and Labor Committee. Warriors, before you break out the champagne and burn your anti Common Core t-shirts, let’s dig into this Bill as well as some breaking announcements from around the education news circuits which connect to ‘ending Common Core’. NO State has gotten rid of Common Core, it’s re-brands, assessments, resources, curriculum, professional development, etc. The ‘name’Common Core might be missing, but it is still there. You know it’s been proven repeatedly on my blog and others! SO, does HR 69 get rid of Common Core or does it champion school choice?! Look at these tweets from Rep. Biggs. Do you see what’s missing? 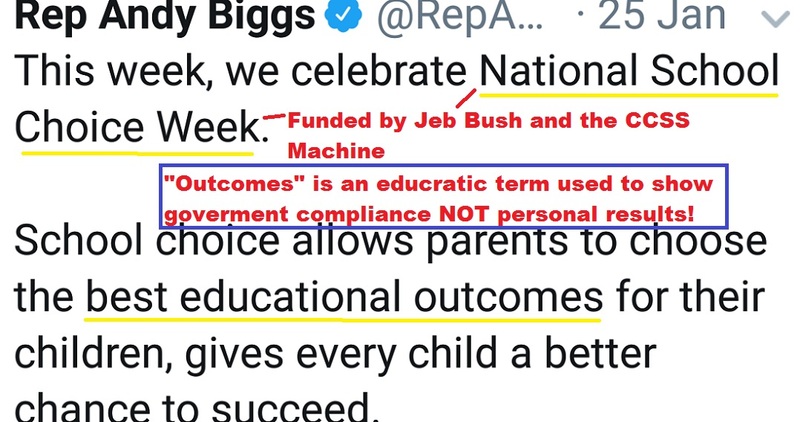 On the 25th of January, rather than promote the HR 69’s intent to “End Common Core”, Biggs once again touts ‘school choice’. Warriors, don’t you think if your Bill had the first three words as “Ending Common Core” that you’d shout it from the mountain tops?! 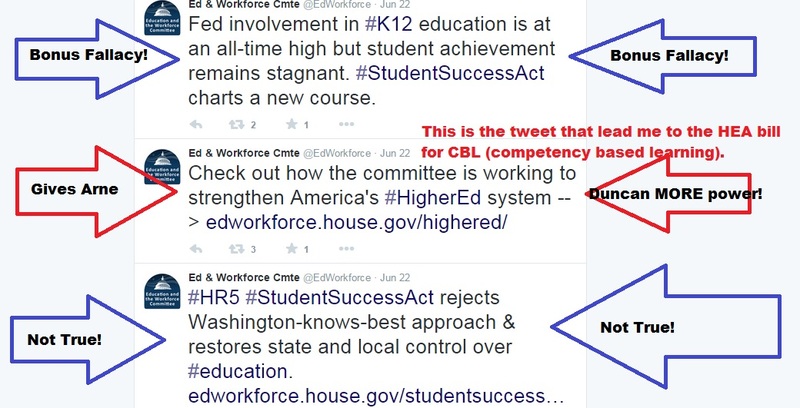 Warriors, HR 69 has “End Common Core” in its title, but does it REALLY end CCSS?! As I stated, this bill is only 6 pages long, the first 3 and 1/2 pages are devoted to expanding school choice via ‘money following the child’ schemes. HR 69 also is targeting the money toward low-income families. This is dangerous in the false hope it gives. Money following the child is a worn out CCSS Machine tactic to attract those outside the current education system and draws them in, only to be trapped in the alignment. 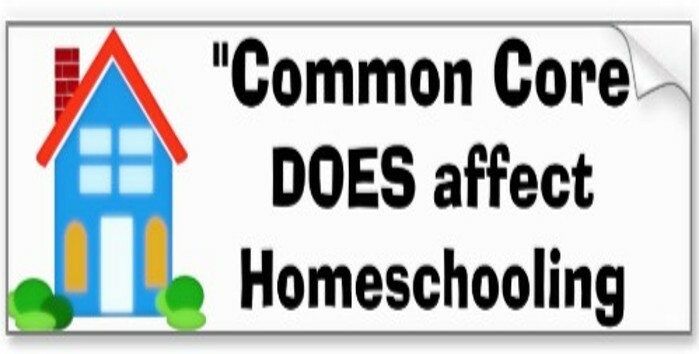 Homeschoolers are also among those targeted by ‘school choice’. On Page 4, nearly at the bottom is ONE paragraph devoted to actually mentioning ‘Common Core’ and its supposed end. But look how Rep. Biggs worded it. This, is not only a deception, it’s a waste of taxpayer money to even print this Bill! As I stated in the screen shot, there’s no need to stress that States are not to be forced into ADOPTING Common Core, that has already happened via RttT (Race to the Top) AND ESSA! ESSA also removes ‘school choice’ as we knew it. How? The mandate for all education to be aligned to the same workforce based standards (teaching, resources, assessments, and, curricula) as laid out by WIOA (Workforce Innovation and Opportunity Act). Warriors, back in 2018, I published an article which featured a scathing expose on Jeb Bush’s involvement with National School Choice Week and the iconic yellow scarves used to signify support. Congress has embraced this annual CCSS Machine laced week. Rep. Biggs, among them. However, he is far from the only Congress member who supports and (falsely) believes ‘choice’ (meaning the type of education learned/taught) still exists. Since ESSA’s passage, ‘choice’ is only applicable to location. So, those very so-called champions of education who keep telling the nation education isn’t defined by zip code, are in essence, MAKING education defined by zip codes. The very agenda they say they ‘hate’ is one they are backing 100%. Will we continue to support these double-speaking educrats?! 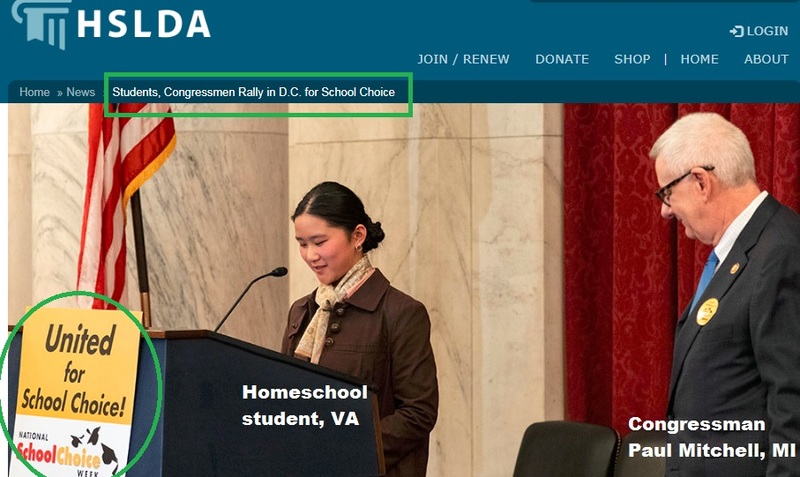 Remember, earlier I stated homeschoolers were being drawn in the school choice debacle? HSLDA, Homeschool Legal Defense Association has come out of the shadows and into the spotlight. In this HSLDA press release you see how the organization is using ‘school choice’ to equate to educational freedoms. Sure, back before ESSA, we had educational freedoms. 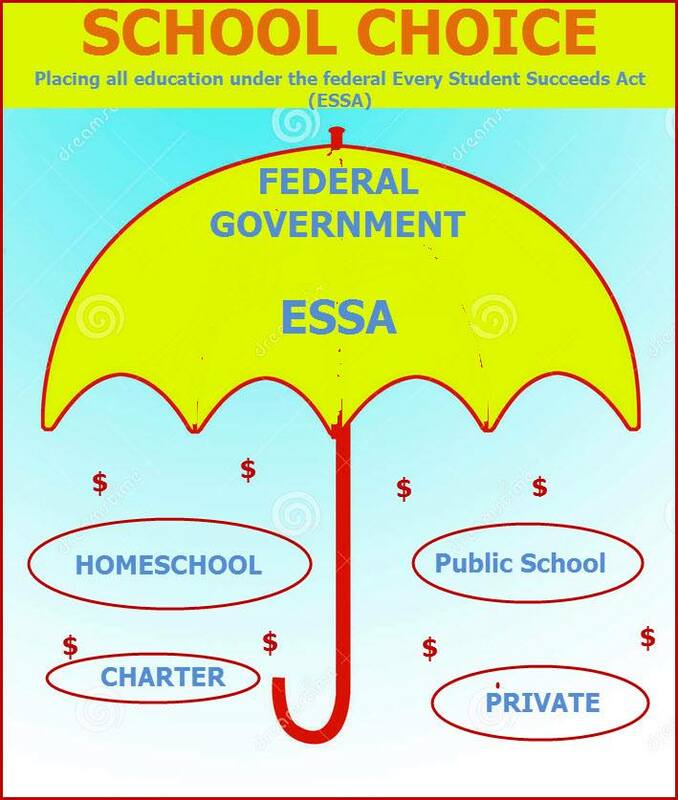 A few still exist, but, Warriors, the longer we see the ESSA mandates continue to increase (like those in-visits and the birth to 5 yrs overreaches), the freedoms will totally disappear. 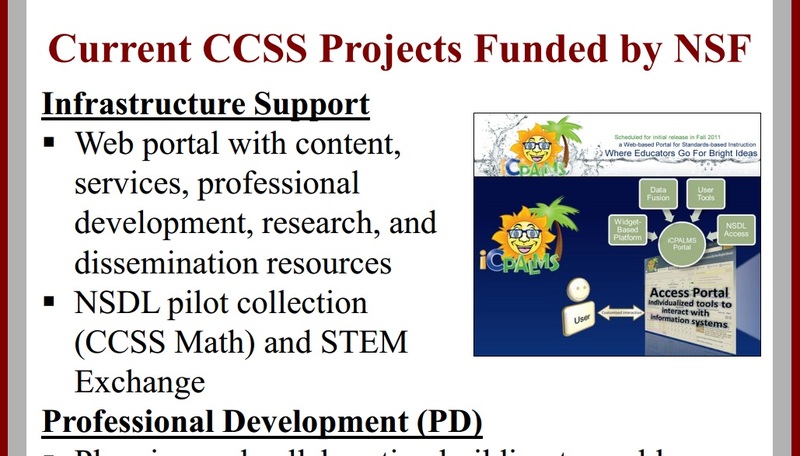 Warriors, if you look more closely to what other CCSS Machine items HSLDA supports, you may be surprised. What may those be? Career Technical Education, education savings accounts, apprenticeships, and STEM (Science, Technology, Engineering, and Math). Frankly, I’m glad to see HSLDA remove all the behind the scenes support for the CCSS Machine and come out blazing. It means all the illusions of the past few years have been shattered. CCSS/CTE impacts ALL educational choices, don’t be fooled! 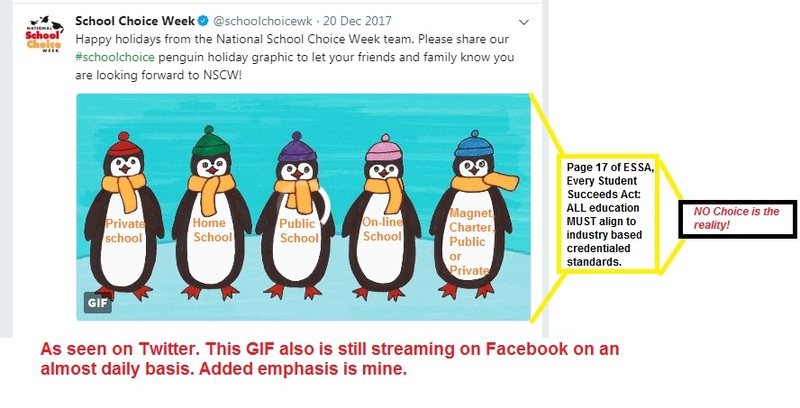 On January 23rd, during “School Choice Week” Sec. of Education, DeVos was reported as saying it’s imperative Congress support school vouchers and thereby school choice. The Daily Signal’s article tells the entire story. In January, and on the U.S. Dept. of Education’s blog, a ‘myth vs fact’ guide to ‘school choice’ has been provided. However, it paints those opposed to school choice as somehow the problem. How like the federal government to point the finger at citizens rather than admit the reality of THEIR lies. 1) To see the Paradise Valley Community College/Chamber of Commerce connections which connect to the AZ charter school featured in the first Biggs Tweet picture, go here. To see the AZ Chamber of Commerce News about this, go here. 2) Paradise Community College is a part of the Maricopa Community College District in Phoenix, AZ. Maricopa Community College District is tied to the League for Innovation in Community Colleges (LICC). LICC has received grant awards from the Gates Foundation. LICC also has Pearson Publishing and WalMart (among others) as partners. LICC also is a nationwide organization. 3) To read Rep. Biggs’ “Freedom Friday” post about HR 69, that’s located here. 4) To see Rep. Lamborn’s pro-ESSA stance, as well as his belief in school vouchers and ESAs (education savings accounts), read this. 5) Rep. Biggs’ Campaign contributions show that the Koch Industries (as in Koch Brothers, part of the CCSS Machine) was among the funding groups. 6) To see my collection of HOW many ways the CCSS Machine has already infiltrated homeschooling, go here. 7) Since the CCSS Machine’s ultimate goal is total control of our children (and ourselves), we see parental rights eroding a bit slower than school choice is disappearing. We know the ESSA mandates for family involvement and student success mean those in-home tracking visits (see the very first part of this article). Warriors, my next article in the latest Congressional overreaches will look at the increase in educratic powers the NSF, National Science Foundation, is set for. It appears we’ve reached the time in American history when the CCSS Machine is no longer concerned with ‘back door’ moves in education reform. It does seem that since ESSA (Every Student Succeeds Act) became law, the moves by the CCSS Machine are out in the open, even flaunted before us. This type of attitude can drive us all buggy, right? So, what are some of the ‘in our faces’ moves by the CCSS Machine lately? Yes, Warriors, the CCSS Machine member, Ford Foundation will send you FREE of charge (and to your home) a STEAM (Science, Technology, Engineering, the Arts, and Math) Kit! This type of in our faces move means lots of kids from all education choices will have access to this. It’s fun, it’s educational…it’s also workforce based education alignment wrapped up in a ‘nice’ package. Where did I find this news? On a homeschooling Facebook page! Ford teamed up with Academics in a Box to get this into as many student’s hands as possible. Ford’s media site tells us it not only has kids thinking like Ford engineers but instills STEAM’s core principles. What are the ‘core’ principles of STEAM? Now, Warriors, this article is not just for those who homeschool. We know STEAM is part of the STEM movement foisted on us by the UN. We know STEAM is in all education choices, too. Just like STEM, and Common Core. Don’t think ESSA ‘killed’ Common Core, it cemented it into our nation like a stone marker. 2) Ford Foundation’s “Drive2Greatness” Campaign for HBCUs (Historically Black Colleges and Universities) made the news, too, recently. The Baltimore Times featured it in Sept. 2017. Cash prizes to bring more STEAM programs to higher education. You can find the Henry Ford Learning Institute (Detroit, MI) is targeting 12-14 year olds for STEAM learning. The Institute has K-20 (means kindergarten through college) STEAM courses. 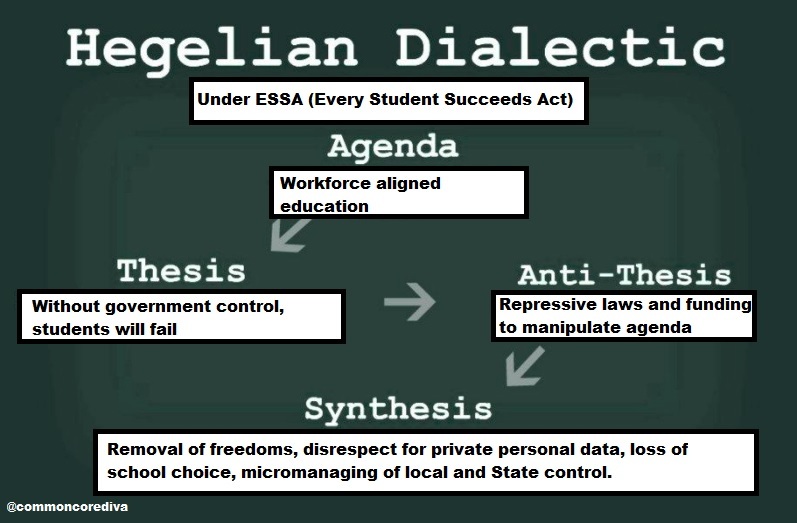 (scroll down the page when you visit the website) Back in 2016, I exposed how the Ford Foundation and other CCSS Machine members were behind aligning your communities for all things Common Core aligned. My three part series on STEM, STEAM and Common Core. Part one shared how the nation’s been set up for a STEM takeover. Part two shared how STEAM/STEM will drive the US’s economy. Part three shared the true roots of STEAM are un-American. The STEM to STEAM by Region pdf (5 pages). Gives you the profits, some of the CCSS Machine member groups, and more. The STEAM book (seen below) has 10 references to STEAM core principles. Be sure to look at all 10 selections. You’ll learn that federal funds for STEM come from various places, but the main source is the U.S. Dept. of Education. If you’d like to learn about Academics in a Box, visit here. Notice the parental awards, the partnerships with Popular Mechanics and the US Science and Engineering Festival. It’s interesting that the company re-branded its STEM monthly subscription boxes. Seems a ‘retro’ look and name will hide the alignment and agenda. If you’d like to see the video about how STEAM is to work in all types of education for all types of learners, you can view this one. It features the American who supposedly originated STEAM. Be sure to note in the final moments of the video how the elementary school in AL is the longest running official STEAM school. To access the AdvancED Report, click here. According to the U.S. Dept. of Education, STEM creates global leaders. The U.S. State Dept. hosted a Girls STEAM camp in partnership with Ed, the UN, and many others. In 2014, Informal Science published an article about the federal funding for STEAM. It’s not coming from the U.S. Dept. of Ed, it’s coming from the Museums and Library Grants and the National Science Foundation. In 2015, Huffington Post published an article about Bonamici’s part in STEAM for the nation. The House’s Caucus was formed in 2013 under Bonamici’s leadership. Here is the current (2017) STEAM Caucus list. Bonamici’s campaign donations show CCSS Machine supporters! Introduced in July 2017, is the STEM to STEAM Act. It’s to update the STEM Act of 2015. I wrote about the 2015 Act here. The newer Act is in the House’s Committee on Science, Space, and, Technology. The newer Act also puts the NSF (National Science Foundation) in the driver’s seat for implementing the Arts into STEM (which will make STEAM), as well as create the need for MORE educational design AND testing! According to the Rhode Island School of Design (a huge STEAM backing post-secondary school), not only is STEAM being pushed, it’s being pushed by one of the Congressional members (Langevin). Langevin also sits on the CTE Caucus (Career Tech Education which also embeds STEM and STEAM). The CTE Caucus includes both the House and the Senate. STEM and SEL (social emotional learning), according to the National After School Association is a ‘must’ in the classroom. After School All-Stars agrees and adds that by combining STEM to SEL, a natural extension is Career Exploration (ESSA expands this exploring!) CyberLearning (2016 Conference) has a two part video about STEM and SEL for the Next Generation. STEAM and SEL? Oh, Warriors, this website sounds like true out of this world science fiction when you see the spin they’ve put on why SEL and STEAM work in education! If you’d like to see how a Brazilian Case Study using STEAM and SEL was brought to the US (2016), watch this video (about 1 hour). Related is a 2011 Global IT document you need to read. UNESCO driven! Also related, this 2016 Prezi for STEAM/SEL. Warriors, remember, STEAM was stated as something which MAY work in education, but we’re seeing the nation driven to insert it everywhere!! Hello, my Anti Fed Ed/CCSS Warriors! As you know, I’ve dedicated years to researching just how deep the roots to the shift in American education to workforce training are. Today’s article will give you a rundown which is sure to help your War vs the Core in your State. Why you need such a rundown of items is simple. The CCSS Machine’s rhetoric will somewhat slow down during the summer months. A perfect opportunity for us to make some moves of our own. No battle is won without specific preparation. So far, during the current Congressional session, there are PLENTY of ‘dirty’ education/workforce bills in the making. Using the Congress.gov website (where you can easily look up bills), there are 733 Workforce bills for the 2017 session. Since we know what happens in D.C. travels to each of the 50 States, we know what to look for at our General Assemblies, State Congresses, etc. Much like the proverbial red towel left in the load of white sheets, the goal of the CCSS Machine is simple, make all education ‘pink’ (ie: workforce training, not academic-minded). As we also, know, once dyed pink, sheets do not return to their former color easily, if at all. S268, Investing in Student Success Act of 2017 (Senator Young from IN is the main sponsor). Sounds not so ‘dirty’ right? I mean who doesn’t want to invest in their child’s post-secondary education?! Ah, but Warriors, the ‘dirt’ is that your student and someone not related to you invests in their education via an ISA (Income Share Agreement). Some hidden ‘dirt’ for S268 is that this FEDERAL bill goes above any existing State law about investment agreements! Targeted group for S268? Low-income students. This bill points out that energy in the United States is the 3rd largest industry. As such, it needs more skilled workers than other industries. The embedded ‘pink’ stain to this bill? The Secretary of Energy will be in charge of grants for creating apprenticeships to carry all this alignment out. This will, of course, involve the U.S. Dept. 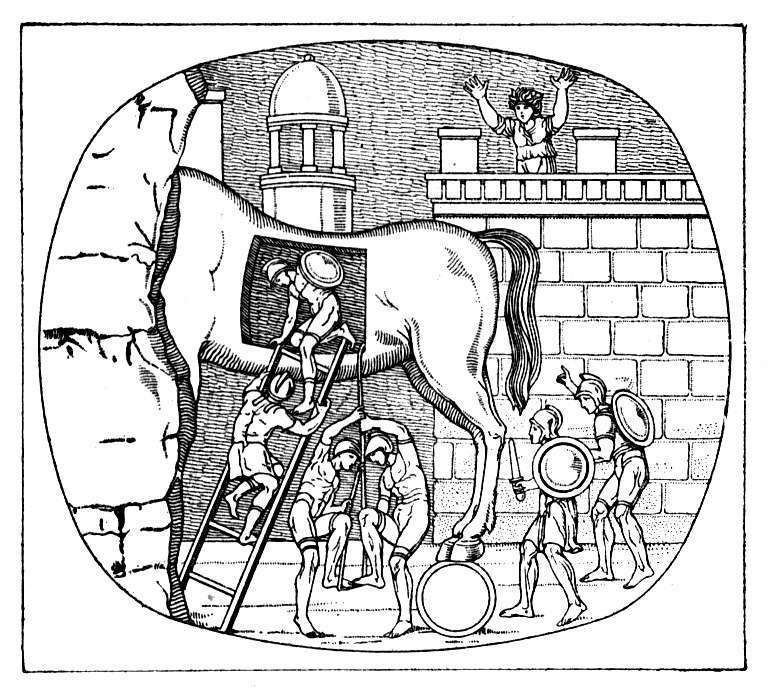 of Labor, and the U.S. Dept. of Education. Warriors, notice the ‘pipeline’ begins in elementary school! S1304, was last introduced during the 2015-2016 Session by Sen. Cantwell. If you read the 9 pages, it is very similar in several instances to the HR 1837 language. Talk about ‘dirty laundry’…. During THIS Congressional Session (2017-2018) The Senate’s 21st Century Energy Workforce Act is mainly sponsored by Sen. Heinrich, NM. It is S895. S895’s title is officially “Energy Workforce for the 21st Century Act of 2017”. This bill specifies an increase in STEM (Science, Technology, Engineering, and Math) especially for low-income students of ALL ages (like the House’s bill, this one will begin in elementary schools and go all the way to the workforce). This bill also specifies WIOA (Workforce Innovation and Opportunity Act’s) definition of ‘education’..just like ESSA did. S895 will have not only the Secretary of Energy creating education collaborations, but awarding all kinds of incentives to them. Warriors, if you missed my article from earlier this year about how the major Cabinet agencies all have CTE/STEM plans to streamline education to workforce skills, I urge you to access that information here. It is absolutely key to what we see Congress plotting NOW. Also, take into consideration that the Federal Budget has millions of taxpayer funds earmarked for job creation. On Page 2 of the 2018 Federal Budget, energy development is at the top of the continued priority list. Education is last. On Page 8, funding/discussion for American jobs is highlighted. Back in March 2017, when the Blueprint for the Federal Budget was released, I shared with you just how the education/workforce stream of money was being kept alive, in spite of all the noise about reining in the federal overreach into education. S1186 is sponsored by several Senators from across the nation. Leading them is Sen. Baldwin from WI. This bill, the Domestic Maritime Centers of Excellence Act of 2017, would have the Secretary of Transportation select existing community colleges (and technical schools) for an increase in educated workforce training. This Secretary’s assistance also includes funding, use of federal resources, AND, create new career pathways! Warriors, as you can see, these are just a few of the over 700 bills Congress has created in the name of job creation, education, workforce skills, and more. The bottom line, however, is 100% alignment to WIOA via ESSA. HEA (Higher Education Act) is also to be included. Career Pathways, STEM, and so much more connects every one of these existing laws and proposed bills. Will every one of these bills survive? No, but even if ONE of them succeeds, look at the agenda it embeds, not only federally, but LOCALLY. The ‘stain’ of CCSS Machine reform is becoming permanently marked on America. Is this what we will continue to allow Congress to see when it comes to our children?! It’s a virtual (digital) overload out there! For today’s ‘Tech Thursday’, we will look in the ESSA (Every Student Succeeds Act) for all the digital parts of education via College and Career Readiness (the new ‘Common Core’ name). (*Note: in the ESSA, ‘Standards’ is innocently stated as “Challenging State Academic Standards”). Why do I point this out? The law (ESSA) uses both phrases for education! Why is digital learning a topic worth looking into? An Initiative called ‘Digital Promise’, fits oh-so-nicely into the CCSS Machine’s plans for education overhaul. As we have seen with top-down initiatives in America, where there is a plan, there are P3s (public private partnerships) who stand to profit BIG. Education is the new cash cow! The following list is from the ESSA Final Conference Report. They will also be in the Final Law Version, but the page numbers will be different. Page 138: Your LEAs (local education agencies) will assist in the development of digital learning skills to improve academic achievement. Page 363: Students via literacy instruction will be able to navigate, understand, and write about complex print and digital subject matter. Page 451: Some element of on-line or digital learning must be included in education. Page 463: Rural access to high quality digital learning opportunities must be in place. Pages 485-488: The consortia for digital learning and state funding. What the uses of the funding mean and how they tie to digital overload. Page 630: Preschool and ‘Ready to Learn’ digital content, especially via PBS (Public Broadcast Stations). Page 943 begins Section 9210 of the ESSA Law. This is the biggest overreach of all! Why? “Student Home Access to Digital Learning Resources”! To find out how successful students are at HOME, a Study conducted by the Director of the Institute of Educational Sciences (IES) no later than 18 months AFTER all portions of ESSA are in place! Details of the Study will be found on Page 944. Be sure you note the other related initiatives for Digital Promise. I would like to point out two names I saw which jumped out at me and are also very heavily tied to the CCSS Machine. 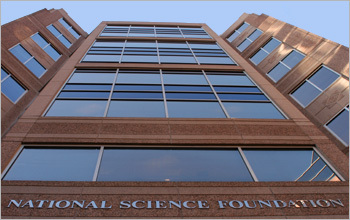 NSF (National Science Foundation) and STEM (Science, Technology, Engineering, and Math). Why this two? I have researched both extensively and have shared with you in previous articles just how embedded in the CCSS Machine’s agenda they are. What about the consortia for digital learning and the state use of funds for digital learning? First, the consortia members include any number of groups involved in education, especially your communities, but, secondly, it is the language used which is alarming. “ensuring that all service and community partners are aligned with the academic expectations of a community school in order to improve student success…” Then a bit further down the page you find this, “USES OF FUNDS.—Subject to section 4106(f), each local educational agency, or consortium of such agencies, that receives an allocation under section 4015(a) shall use a portion of such funds to improve the use of technology to improve the academic achievement, academic growth, and digital literacy of all students, including by meeting the needs of such agency or consortium that are identified in the needs assessment conducted under section 4106(d) (if applicable), which may include….”. You need to read Pages 486 and 487 for yourselves to see what those inclusions are. Let me just summarize that those including are students, teachers, and school leaders; that funds are to used in not only assessments, but purchases of digital technology; and more! Those PBS broadcasts are our last area of focus. Then there was their involvement in higher education, ‘American Graduation Day’. The IES and their upcoming Study? That, my Warriors Against the Core, is the next article to be written. As the push for the re-authorization of the HEA heats up, more evidence has surfaced showing how post-secondary education is an ideal set-up for more than meets the eye. Today’s article will prove to be a distinct eye-opener. So much so, I’m even shaking my head in just how interconnected the American reform is proving to be. Warriors, we’ve known the real agenda behind the education reform is the trained workforce. We’ve seen how the 2014 passage of the WIOA (Workforce Innovation and Opportunity Act) has embedded CTE (written in via one of its other names, Career Pathways) and is woven into the legislation at least 21 times, per a high ranking U.S. Dept. of Labor spokesman. Part One gave you vital information as to just HOW the WIOA and HEA are united via the CCSS Machine. A machine which includes those in public office as well in private business. So just what is “America Competes”? It’s designed to involve America’s energy competitiveness in the global scheme, the ‘need’ for 21st Century technology (which includes energy efficiency, climate control, and other related activities here in America) AND education that’s aligned with Pre-K through 12th grade CCS Standards. As we know, CCSS can also mean ‘college and career ready standards’, ‘essential standards’, ‘career pathways’, ‘career clusters’, and on and on the names go. All this “American competitiveness” is to be completed in the name of scientific research. e) while much shorter than its counter part bills in the House, it does involve ‘talent expansion’ programs, lots of taxpayer money, certain data NOT being made available to the public, “National Laboratories”, public-private partnerships being encouraged and incentive driven, removing duplicate authority in the “Science Enhancement Education” realm within the U.S. Dept. of Energy (question is, who gets to the be ONE authority? ), protecting the PACE graduate program, giving ‘early career awards’, rewarding schools which drive up the attendance and graduation rates, and merit pay based peer reviews. (Does any of this sound anything remotely like what we’ve seen the primary and secondary educational reform? Of course it does! It’s MORE CCSS Machine rhetoric) While much shorter at the moment, remember the bill could grow by leaps and bounds when all is said and done. As we’ve discovered, where you see “Workforce” or “STEM”, you know Common Core or Career and Technical Education is there as well. Now, if you’ve followed my blog for very long, you know how I’ve given you proof of how the community colleges across the nation have aligned themselves to the CCSS Machine. From the CCSS derived ‘Adult Standards’ to the CTE courses, hybrid classes (meaning on-line and in-person), and, beyond. Below, is another example of the Workforce ‘chunks’ your student (or maybe even yourself) can find as an educational choice. You’ll find other energy career ladders, paths, clusters, and internships or apprentices at almost every community college, trade school, or high end university. What you’ll find is more about the energy stance, the economy, or other items than you ever will about the academic nature of the student achieving a “Smart Grid” workforce degree. Why? Because, as we’ve seen time and time again, in all things related to the CCSS Machine, academics as we’ve known them, take a backseat to service. As you might notice, the above gives you a birds-eye view of how the U.S. Dept. of Energy has been able to influence the Workforce angle of education. One of the co-chairs to CoSTEM is from the NSF (National Science Foundation). I’ve given you plenty of evidence how the NSF has been party to aligning our education, but a great reminder as to HOW is found below. Members of federal level offices working together to see that STEM/CCS/CTE/Workforce survive and thrive? I truly hope you’ve been able to see my point in sharing what I have to complete the look at just how toxic the revamping of any educational choice is when put through the CCSS Machine’s cycle for America. If you’ve not, I’ll try to summarize below. 1) Any educational re-authorization currently on the table which impacts pre-K through grad school is seemingly under one man’s domain: Sen. Lamar Alexander. 2) The public-private partnership which makes up the CCSS Machine is impacting education from a birth to grave aspect. This will include not only our pre-K through grad school choices, but also our entire communities. Is this really what’s best for America? 3) That by ensuring every federal law possible that can influence an alignment to the Workforce agenda can happen, we see our human lives are less considered than the economy. How did I arrive at this point? Simple, look at the CCSS Machine agenda, it’s more about economy than personality. 4) Finally, by allowing a CCSS/CTE aligned Higher Education bill to pass, we see the cement ‘bridge’ completed from the earliest of American lives to the oldest completed. 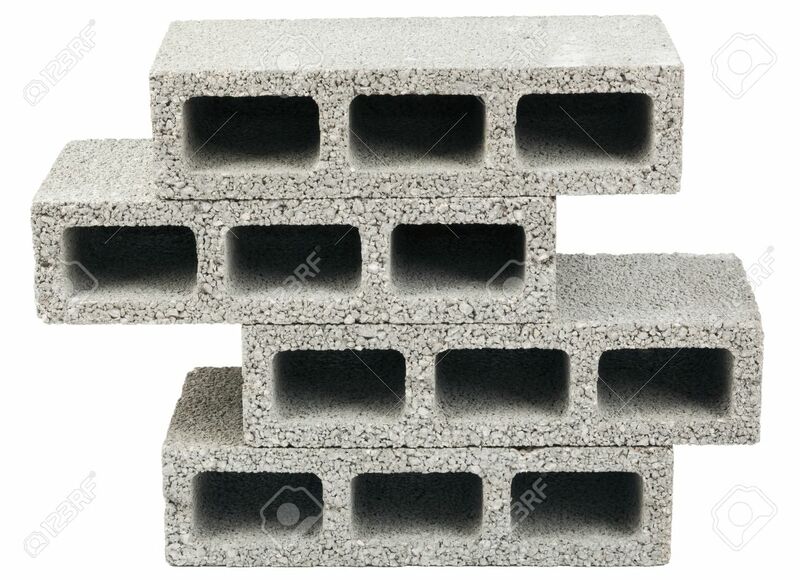 As far as I’m concerned, it’s not a cement bridge, but, a cement block. The CCSS Machine wants you to envision a bridge to cross over when in reality it’s a cement block tied to your ankle to drag you down…and remember..it’s all in the name of ‘education’. My student is MORE than a block, or an apple..my student is a human! Warriors against the CCSS Machine. We know that Machine includes STEM, Career Tech Education, and Workforce. , it’s been very well researched and documented. We’ve seen the train wreck Congress made out of the Student Success Act, the Every Child Achieves Act. We won’t have to wait much longer to see what is revealed when the re-authorized version of the Higher Education Act appears. Today, it’s a quick review of where the bill is and then an update of what we can prepare for. Remember, the BEST warrior is a PRO-ACTIVE warrior. 1) The HEA (Higher Education Act) was created roughly the same time as the ESEA (Elementary and Secondary Act); 1965. See this excerpt from my June 2015 article titled, “Halting a CCSS/CTE Aligned Workforce?”:“To the Warriors against the ‘Core’, we’ve learned over and over that the CCSS Machine has many parts to it. Those parts include Career Clusters, Career Pathways, the American Apprenticeship Initiative, Career and Technical Education, and the Common Core Standards (which encompass every subject, including the Arts and PE). One of the biggest parts of the Machine? That would be the amount of legislation expressly written to protect the embedding of all this illegally based education reform! Where is the new version of the HEA, now? We’ll get to that it a bit. 1) Let’s see what related moves have been made. Why? Think back to the amendments offered to be attached to the mammoth Every Child Achieves Act. Much of the plan behind those amendments was to add in key pieces of language created to meet specific goals, or, in the case of the public/private partnered CCSS Machine, the agenda. When the newer version of the HEA is presented, don’t think similar tactics won’t be used. They absolutely will. How do I know? Think a STEM pipeline workforce doesn’t sound like a bad thing for America? Consider that many public/private partnerships are ALREADY in place and working well in bringing about the CCSS Machine’s master plan of an aligned workforce (See: https://commoncorediva.wordpress.com/2015/06/25/tech-thursday-p-tech-its-here-its-now-and-its-part-of-the-p3-ccss-machine/; https://commoncorediva.wordpress.com/2015/06/19/fom-a-new-ccs-coalition-for-community-schools/; https://commoncorediva.wordpress.com/2015/03/31/ftf-ccss-pearsonites-at-your-higher-ed-campuses-now/) Each of these will lay out for you how STEM, the Workforce, and others have already begun to reinvent elementary and secondary education to align with post-secondary education. On Thursday, we’ll look at the Senate’s version of “America Competes” as well as tie in Career Tech Education, HEA, and more. A triple whammy of hype for us from the U.S. Education and Workforce Committee. It’s not new news that community colleges are Common Core aligned via either their ‘dual enrollment’ courses (which serve high school students) or the Career Pathways/Career Clusters tracks. However, I have found a new document that gives 21 ways to make the bonds of the CC even STRONGER. I’ve written about SREB a few times before. so I know how supportive of CCSS they are. Recently, the entity has published a Community College Report. Titled “Community Colleges in the South: Strengthening Readiness and Pathways” The work going into this is the Bill and Melinda Gates Foundation. As I normally do, I’ll only give you the highlights from the document. You can access the entire document from here to research on your own. What if you live outside of the SREB’s domain? I’ll be sure to show you how to find the Regional Education entity in your area by the time we’re through. Back in Sept. of 2014, I researched and wrote about the ties between CCSS, STEM, and the Technocratic Party. Seeing how much education reform has been firmly put in place without citizens input, I wondered if there has been any more recent activity. 1) Technocrat is driven to utilize technology – invented or otherwise – into a domestic and a foreign policy. 2) Technocrat’s mission is to improve our nation with: prosperity, abundance, liberty and security. 3) Technocrat continuously pursues a better vision for our nation and humanity. Wow! That’s a bit scary, right? Well, again, since the original publishing, have there been changes? We’ll take a look today. Maybe the education reform isn’t new, Technocratic beliefs aren’t new, either. BUT I did find this new line: “Technology and innovation are critical to the prosperity of a nation, which creates a robust and a dynamic economy.” Followed by, ” ATA (America for Technocratic Action) is taking action to start the ground work for the coming change.” To be fair, the group says it believes in capitalism. That’s fine and well, but it is the level of technology and innovation we need to be looking into. You see, the Technocrats are relying heavily on technology/innovation to be the vehicle for all this change. Stop and think about how much technology and innovation the CCSS Machine is using to reduce quality education to a dismal version. According to my previously published article one of the biggest Technocrats influencing education is Mr. Bloomberg (as in Bloomberg Foundation). Somewhat related to the Technocrats are AT & T, The Atlantic magazine, and others. (Be sure to go back and read the original article). So, knowing what I’ve already found out from research and seeing that there’s been some change, but not entirely sure of WHAT it involves. I decided to go back and see if Technocratic and Socialism are related. After all, considering how the agendas of the CCSS Machine and Socialism appear to be, the Technocratic one doesn’t sound far from the mark either. From the following website, http://www.technocraticsocialism.org/policies/, here’s what the view of education by the members of the Party have, “Public education up through 12th grade should be mandatory and federally funded, with little involvement by local communities and no faith or culture-based exclusions. There should be experimentation within the public school system, with a variety of educational and organisational methods as options, provided the schools remain public, secular, compliant with a universal service obligation, and otherwise meet reasonable metrics. Higher education should be entirely funded through the general tax burden, and should continue at intervals for all citizens with an option of up to two university-level classes every five years.” This website is not American. For the first clue, note how ‘organization’ is spelled. It’s the International English spelling, not the American one. Clue #2 is when you access the entire policy page, you’ll see phrases like, “In countries like America”. I urge you to read the entire policy page. Note at the top of the page the comment about issues to be pushed and how America is ‘pushable’. The push for STEM, is still as much in the Technocratic platform as ever. The belief that Congress must enforce more legislation and funding for programs associated with STEM is also just as strong. Knowing how much of a part Congress has played in education overreach; seeing that the Technocratic Party believes the National Science Foundation (and other groups) should ramp up the education/social policy agenda, it wasn’t surprising to find one such tie between the technocratic belief and a NSF grant of $15 million dollars. The topic? A dissertation study on changing the public’s perception of climate change to satisfy an old technocratic debate. The grant was awarded in 2012 and was set to expire in 2014. You’ll find the entire description here: http://www.nsf.gov/awardsearch/showAward?AWD_ID=1155402 (the technocratic phrase is in the ‘potentially broader impact’ section. When I was doing more research to update this article, I found a book on “Google Books” (the on-line libary) by James D. Finn titled “Extending Education Through Technology: Selected Writings by James D. Finn. The search phrase I used was “NSF Technocratic”. The Google Book took me to pages 141 to 144. Near the bottom of page 141, “Science, Technology, and Invention on a large scale have become such a handmaiden of industry in the United States that research and development are now regarded as basic keys to progress in our economy.” On page 142 the author is expressing how ‘free’ technology should remain (his words were ‘can’t be confined’). He compared the freedom needed for technology to best serve humans with that of religion or of love. He went on to say there must be a great temptation by those who are technologists to ‘not take over’. It is his next few sentences I want to quote, “As an example of this phenomenon close to the heart of educators, it might be well to examine the activities of the National Science Foundation and the National Academy of Sciences. It will be found, I suspect that the two of them have already overtaken some functions of the U.S. Dept. of Education, the NEA and its departments and other possible ‘nonscientific’ educators, and are, busily spawning a new scientific educational bureaucracy. Such a bureaucracy is but the beginning-and there are many others in other fields of a movement I have dubbed “Neo-Technocracy”. Finn then goes to the express the Neo-Technocrats move into positions of power. FYI: Mr. Finn was a professor at the University of Southern California. He died in 1969. Well, there you have it. An update on the Technocratic influence in America. Did you notice how easy it was to circle back and find some of the same organizations? Let someone else know about this. We’ve got work to do! FTF: Hey, Parents! 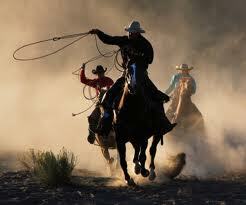 The CCSS Roundup is Coming for You! One group is targeting parents to ’round’ up in hopes of gaining their support for radical education reform. We know the CCSS Machine has set its sights on our kids. I’ve shared with you (as have others) how parents have been targeted as well. However, did you know there’s one group dead set of creating enough pressure to influence parents TOWARDS radical education reform?! According to their ‘about us’ page the Institute is a non partisan, not-for-profit, private group of folks interested in spreading liberty. Sounds great, right?! Well, AEI isn’t telling you everything. At least, not on their ‘about’ page. Looking at their academic advisory members as well as the board of directors, you’ll be able to begin to see that several pro CCSS schools, groups, and businesses are in positions of influence. Knowing how much the Gates Foundation is a part of the CCSS Machine, we don’t have to look far into AEI’s funding to find the cash cow. Gates’ group became bullish on AEI quite a few years back. According to the GF Grants database, GF has granted AEI money on a consistent basis since before 2009. The descriptions of the grants reads more like the ‘livestock for sale’ announcements in the local farming news. So Where are the Parents? If you enlarged the above screen shot, you’ll notice no where did you see ‘parents’. However, did you notice the amount of influence to be given? More than likely, big bucks where thrown about (think a cow pattie throwing contest) to include parents. Why? According to one AEI writer penned this, “Families are the primary clients of public schools, but they are one of many groups that have a say in how schools actually operate. In all the technocratic fervor around school reform, it is easy to lose sight of the fact that public schools are democratically controlled. School boards, mayors, local referenda, and even public opinion shape the way schools operate.” Excuse me, what?? Have we, the opposed to CCSS, not seen enough evidence to support that schools are not as ‘democratic’ as they should be?! Have we not seen enough parents arrested, pestered, and run out like cattle from schools? Yet, we’re considered ‘clients’?? Give me a branding iron, please! Watch Out, Electric Fence Up Ahead! I have a message on behalf of the parents out there who are opposed to being used, courted, or otherwise engaged in efforts to support CCSS as an educational reform we didn’t ask for, vote for, or see come into our lives legally (meaning honoring the Constitution). 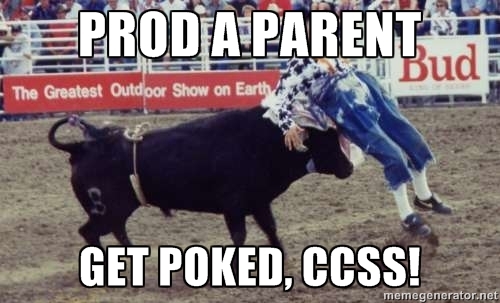 I hope you like my meme I created to send a distinct message to the CCSS Machine! Do you know how much power NSF has in education? A video from the NSF’s YouTube Channel that you might find interesting, where you’ll hear the “PreK to Gray” education phrase. You’ll also be pleased to know that the grants NSF gives use YOUR taxpayer money! Here’s another one from 2011, where the First Lady pushes STEM. However, listen to the gentleman who speaks before her. Listen for his shared vision between NSF and the current administration’s goal for education.